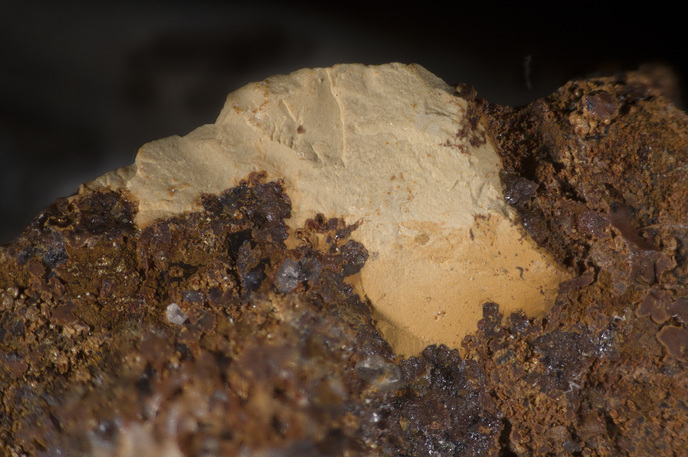 Kamarizaite: Mineral information, data and localities. Named in 1893 by Karl Heinrich Emil Georg Busz for the type locality. The arsenate analogue of tinticite. Structurally related to afmite, chemically related to tooeleite. The higher hydrate when compared to ferrisymplesite. Also chemically similar to kaatialaite, bendadaite, and césarferreiraite. Visually similar to jarosite and other members of the Jarosite Subgroup. Originally assumed to be orthorhombic. Jarosite 1 photo of Kamarizaite associated with Jarosite on mindat.org. Chukanov, N.V., Pekov, I.V., Möckel, S., Mukhanova, A.A., Belakovskiy, D.I., Levitskaya, L.A., Bekenova, G.K. (2009) Kamarizaite Fe3+3(AsO4)2(OH)3 · 3H2O -- a new mineral arsenate analogue of tinticite. Zapiski Rossiiskogo Mineralogicheskogo Obshchetstva: 138(3): 100-108. Chukanov, N.V., Pekov, I.V., Möckel, S., Mukhanova, A.A., Belakovsky, D.I., Levitskaya, L.A., Bekenova, G.K. (2010) Kamarizaite, Fe33+(AsO4)2(OH)3•3H2O, a new mineral species, arsenate analogue of tinticite. Geology of Ore Deposits: 52: 599-605. Kolitsch, U., Lengauer, C.L., Giester, G. (2014) Crystal structures and isotypism of the iron arsenate kamarizaite and the iron phosphate tinticite. 92nd Annual Meeting of the DMG, Jena, Germany, September 21-24; abstract in Programme, 257. Kolitsch, U., Lengauer, C.L., Giester, G. (2016) Crystal structures and isotypism of the iron(III) arsenate kamarizaite and the iron(III) phosphate tinticite. 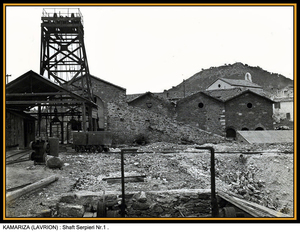 European Journal of Mineralogy: 28: 71-81. Kolitsch, U., Lengauer, C.L. and Giester, G. (2016): Crystal structures and isotypism of the iron(III) arsenate kamarizaite and the iron(III) phosphate tinticite. Eur. J. Mineral. 28, 71-81. Chukanov, N.V., et al. (2009): Kamarizaite Fe3+3(AsO4)2(OH)3·3H2O -- a new mineral arsenate analogue of tinticite. Zapiski RMO 138(3), 100-108; N. V. Chukanov, I. V. Pekov, S. Möckel, A. 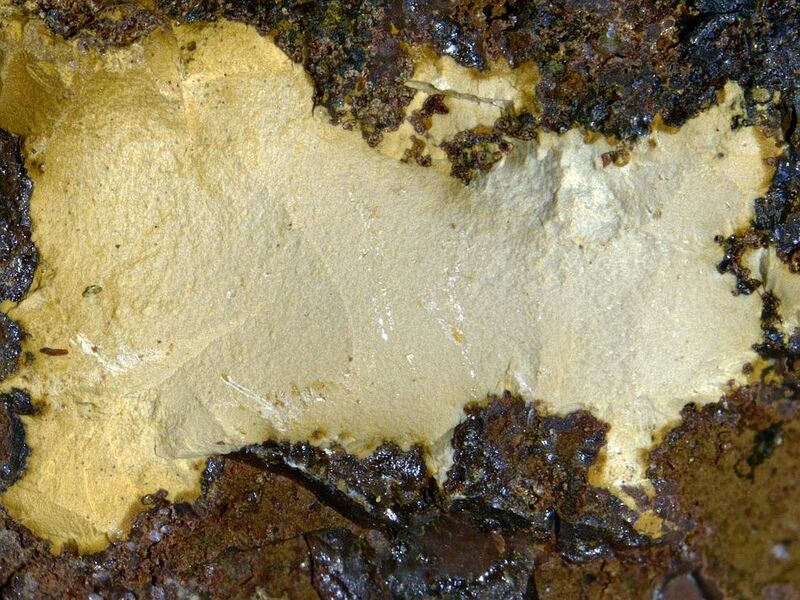 A. Mukhanova, D. I. Belakovsky, L. A. Levitskaya und G. K. Bekenova (2010): Kamarizaite, Fe33+(AsO4)2(OH)3•3H2O, a new mineral species, arsenate analogue of tinticite. 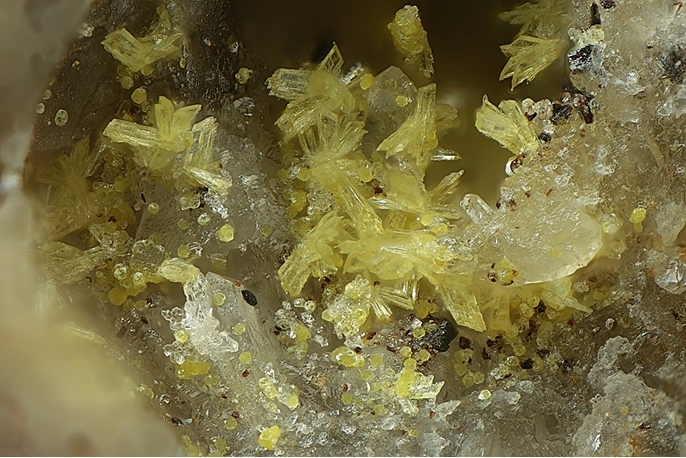 Geology of Ore Deposits 52, 599-605; U. Kolitsch, C. L. Lengauer and G. Giester (2014): Crystal structures and isotypism of the iron arsenate kamarizaite and the iron phosphate tinticite. 92nd Annual Meeting of the DMG, Jena, Germany, September 21-24; abstract in Programme, 257; Kolitsch, U., Lengauer, C.L. and Giester, G. (2016): Crystal structures and isotypism of the iron(III) arsenate kamarizaite and the iron(III) phosphate tinticite. Eur. J. Mineral. 28, 71-81.